Hello and welcome! 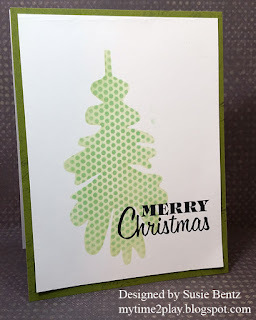 Susie hosting the blog today with a Christmas in July project! 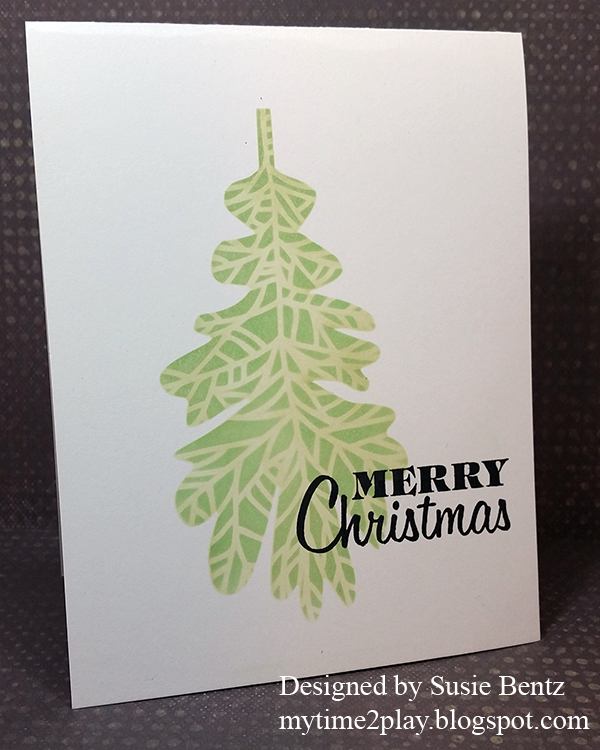 It is never too early to start making your Christmas cards. I like to keep mine Clean And Simple. 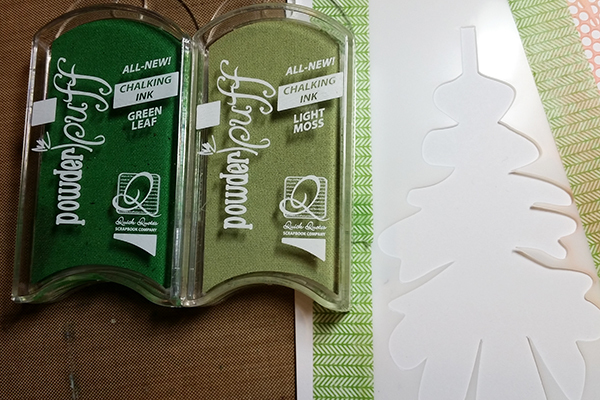 ...and applied Light Moss PowderPuff Chalking Ink through the stencil to create the base. I moved the stencil so that one of the patterns was positioned correctly before applying the Green Leaf ink. I finished off this CAS card with a stamped sentiment. 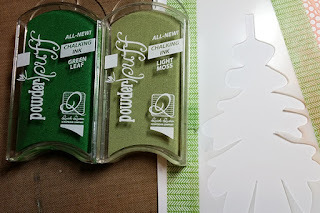 Quick and easy - but really cute! Very easy to mass produce too. The second card was created using the a different stencil overlay. 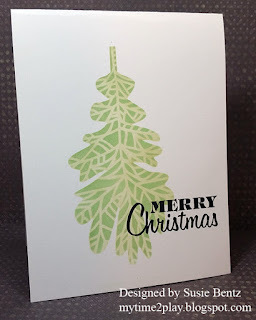 I also turned this into a layered card by adding a mat of green designer paper from the Earth, Wind and Fire collection. 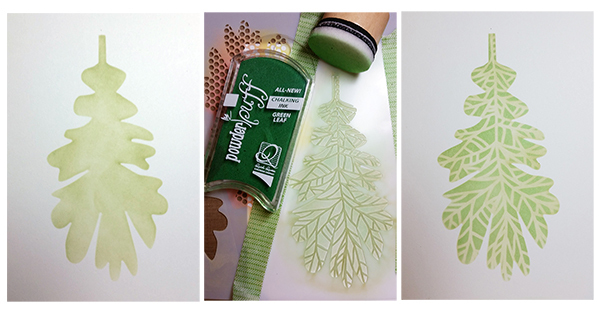 On the final card, I created a forest of trees by moving the stencil around and switching up the inks. Very clever Susie! 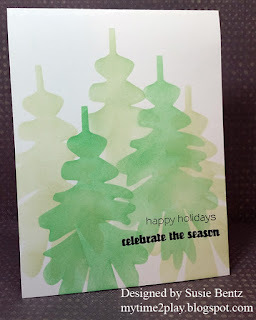 I only saw the the tree.